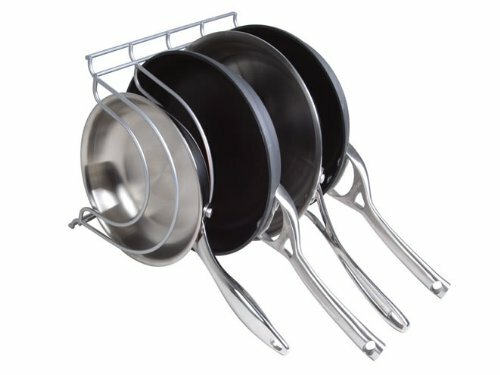 This pan organizer is AMAZING. I get so tired of having to take out all of my pans to find the one I need. And then they are all out of size order and falling all over my cabinet. This Rubbermaid pan organizer solves that problem completely! Just be sure to get the measurements and measure your cabinet first to make sure it will fit. Very happy to have this! this looks like something I need for my pots n pans...what a great idea!